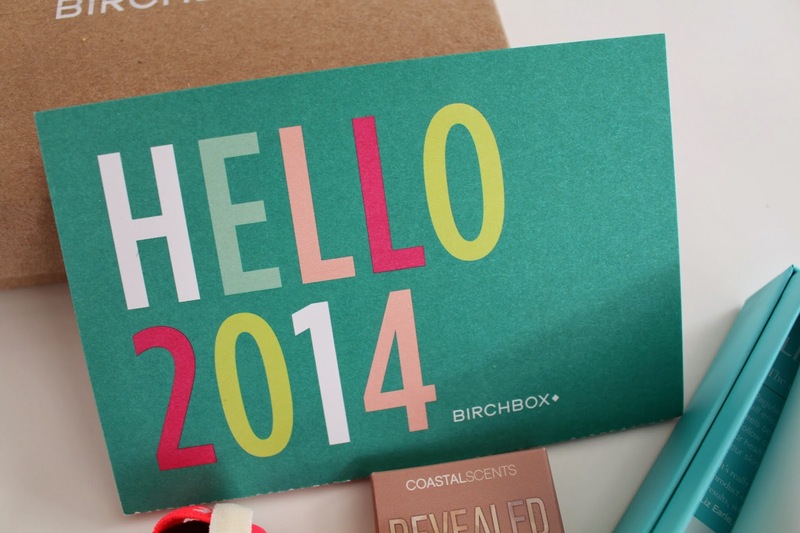 I go up and down with my subscription relationship with birchbox. I love it, then I am disappointed. 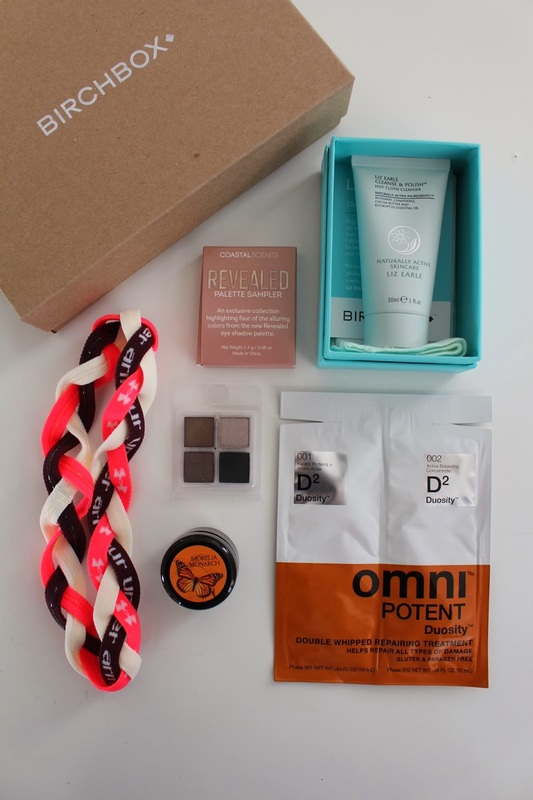 Most of the time my birch box arrives unusually late, which gives me a limited amount of time to try the products and then post my thoughts on the blog before the month is over. However this month's box arrived early. I had plenty of time to play and explore these fun products! 1. Liz Earle Cleanse & Polish Hot Cloth Cleanser: I have to say this product ranks pretty high up on my happy scale! Amazing! At first I judged the book by its cover so to speak, totally had a misconception of what the product would be like and the results I would achieve by using it. The cleanser itself is a creamy supple consistency which you massage repeatedly over your face, neck and decolotte. You can even work the cleanser around the delicate eye area! Big plus! Then using the delicate damp muslin cloth I just wiped away the cleanser and all the debris it had collected. I could feel the cloth acting as an exfoliant without being too harsh on my skin. Overall it delivered super clean skin and such a glowing radiance. I would totally purchase this product and recommend it for you to try as well! 2. Coastal Scents "Revealed" Palate Sampler: The eyeshadow palate I received was a mix of plum/gunmetal shimmery hues. Very pretty and I've enjoyed the shadows, however I wasn't wowed so to speak but very happy that they sent me eyeshadow colors that are complimentary to my coloring and aesthetic. 3. Under Armour Braided Headbands: I have been a long time fan of Under Armour! Everything they produce is exceptional in athletic wear! So this was such a treat! With my long hair and layers I am always putting my loose strands back with bands or bobby clips to work out. These headbands are a great addition and super cute to wear while I am getting my work out on. I love the color combo they sent me! 4. Camille Beckman Body Butter | Morelia Monarch: Loved this body butter! Wished my sample was bigger! I was able to cover my whole body with the small sample and my skin savored it! It was refreshing, moisturizing and a perfect supple consistency, like butter but not greasy! I would definitely purchase the full size of this body butter. 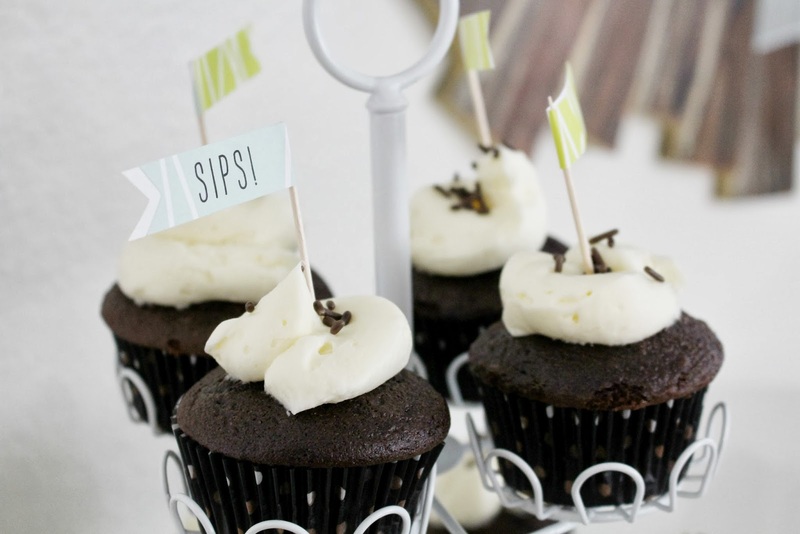 Perfect for anyone but I couldn't help but think about expectant and postpartum mamas out there! It would be a great gift for you or someone special! 5. Omni Potent Duosity: I felt my geek side come out when I experimented with this product! Ha! This deep conditioning treatment is a mix of two parts that when combined they turn into a whipped mousse like foam, thick enough to coat your entire head of hair! You literally mix the two parts together and watch the batch turn into a completely different entity than you started with! So fun! Although the directions said to use after shampooing, I actually used mine as a conditioning treatment on my dry hair. My hair felt so soft and silky during and after rinsing the conditioner out of my hair. I can't get enough of MINT these days! It's my latest color crush. 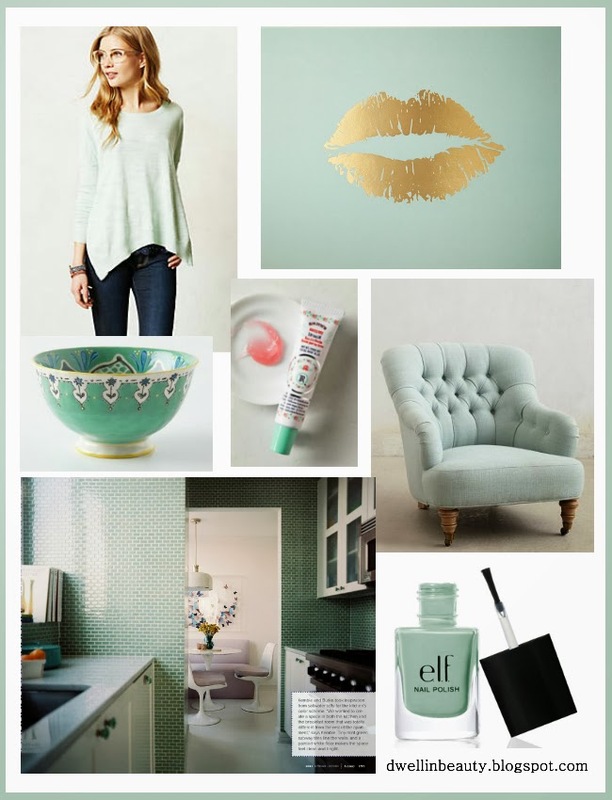 Here I am at home grabbing my paint swatches and pulling out pretty shades of mint, contemplating which walls or room I should paint in this fresh yet soothing color?! It must have something to do that despite it being January, it is HOT, DRY and not wintery at all here in Southern California. But I am dreaming of misty mint and serene, calm and cool days... Ok a girl can wish! Have a great tuesday! I have been baking muffins a lot these days! So much so I've been pondering writing a post about muffins for quite some time now. I really believe that we can have it all. I often wonder why we sacrifice our chocolate cravings just because something isn't "healthy"? Instead bake your way to health and still satisfy that carb or sweet tooth without the guilt or added pounds. 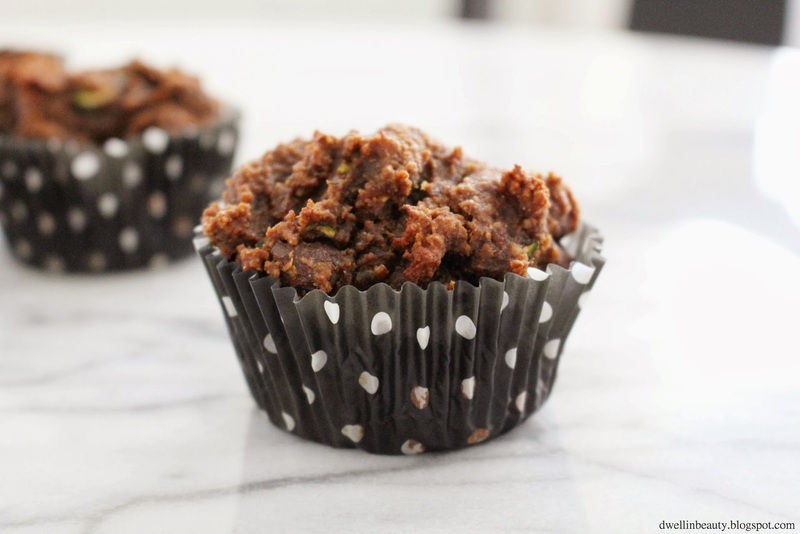 These muffins are the perfect solution to that little sweet pick me up, without being over the top in your face sweet. Instead they are moist, light and satisfyingly delicious! They're a great little snack or meal on the go, super handy to have around. Even more so when they are filled to the brim with nutritious and healthy ingredients! 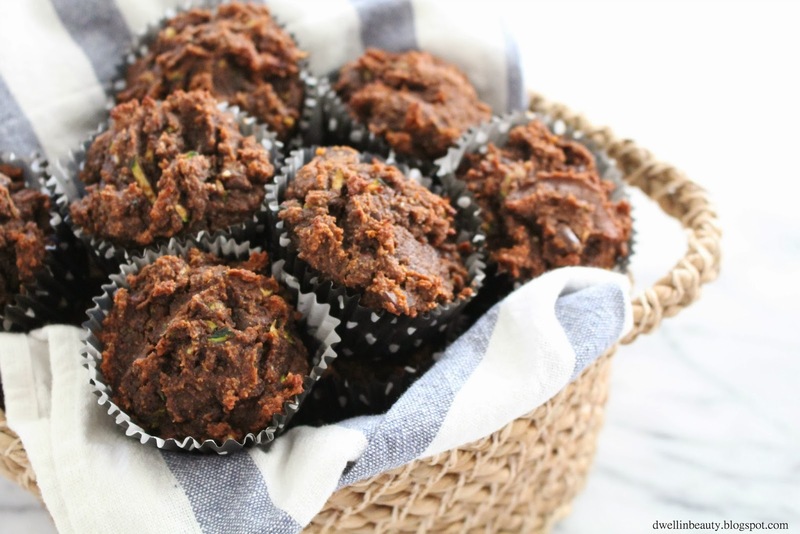 My Chocolate Zucchini Muffins are healthy and divine! You'd never know you're eating your veggies or getting your fiber in when they're wrapped up in this chocolate rich concoction! Preheat your oven to 350 degrees. First start with the dry ingredients. In a large mixing bowl mix together the Almond Flour, Coconut Flour and Whole Wheat Flour. Then add the cocoa powder, cinnamon, baking soda and salt. Blend together for a minute or two to make sure everything is evenly distributed. Then add in the wet ingredients. Blend in the Sunflower oil, egg, unsweetened apple sauce, honey, and vanilla extract. The mixture should be a moist yet thick consistency. Once you add in the zucchini it will lighten up a bit, just in time for you to toss in the yummy chocolate chips! Spoon the mixture into a muffin pan with paper liners or spray a bit of coconut cooking oil instead. Either option works great. Bake for 20-25 minutes. Enjoy! 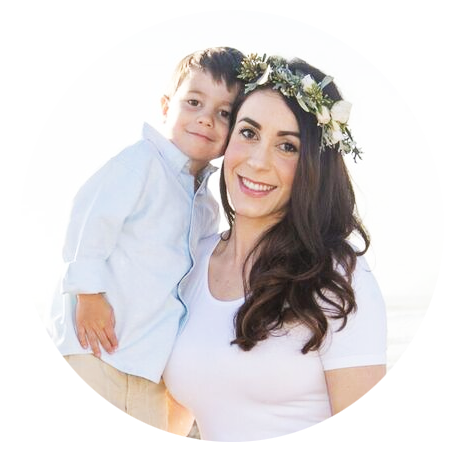 Now being a mom, you have to have the utmost flexibility with your time, so I am not talking about a strict regimented schedule. Instead finding a way to set aside time to focus more wholeheartedly on these 3 areas. I have been waking up an additional 2 hours prior to my son waking for the day. Its challenging, and I am working hard at getting up before the crack of dawn. But it must happen. Or else I am last. Last to get dressed, brush my teeth and put on a smidge of makeup (if I'm lucky ;)) And by the end of the day the last thing I want to do is throw on my workout gear and get my exercise on. Its just too exhausting. I am much more of a morning person, and getting the blood pumping and endorphins rolling at the start makes for an extra great day! Of course after exercising, I shower, and get this, I actually have time to put body lotion on, do my hair and makeup! Wow, the little things I took for granted pre baby :) I feel so much more put together and I can just accomplish about anything now that I have taken care of "me". The rest of the day I focus with all my intention on caring, loving and being there for my son. We play, eat together, run errands and what have you. When he naps this is the time that I get to spend how I want/need which includes taking photos for my blog, designing, social media, writing etc. I also quickly clean or tidy up what needs to be addressed as far as household duties are concerned. 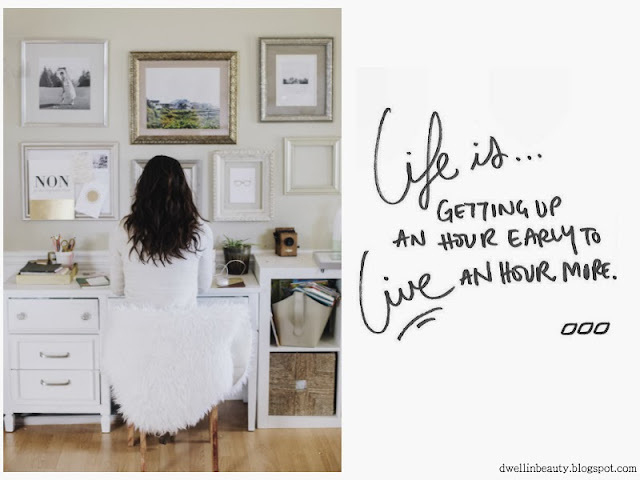 When my son goes to bed for the night, its again time for me to clean up, blog and have a moment of down time to watch tv, surf pinterest or spend time with my husband. It makes for busy busy days. But at the end of the day, no matter how tired I am, I do feel fulfilled and satisfied with how I spent my time. Last but not least, getting organized with our finances! To date, my husband and I have not really made an efficient way of keeping track of our finances. Looking online at our bank statements just gets overwhelming and confusing because it isn't organized. I am also kinda old school and need pen and paper in hand to have a clear understanding of whats in front of me, especially when it comes to numbers. I have put together a document to organize all the different financial categories that pertain to us, and will put together a separate post to share the document as a google doc or pdf for you to use if you wish. In this upcoming post I'll share with you my tips, tricks and tools and more about our financial organization. Well I think I've about covered my monday musings for today! Tell me your thoughts on how you balance your time? How do you stay organized? Before I delve into what an amazing product Caudalie Cleansing Water is, I must tell you the story that lead me to find it and give it a try. A few months ago, I want to say around August I needed a switch from my eye makeup remover. I had always opted for oil free removers and was loyal to a particular brand. Suddenly out of nowhere I developed an "eye rash" and the irritation my poor lids were going through were insane. Talk about puffy, red and scaly looking skin... It was not pretty. It took about a month or so to figure out the culprit. I knew I was having an allergic reaction to something I had put on my skin. I even avoided putting on any makeup at all in hopes to clearing the skin irritation. Long story short, my eye makeup remover was wreaking havoc on the delicate skin around my eyes. I had had enough. After over a month of suffering with skin issues and not feeling or looking like my normal self I was determined to set out to find something that would be effective at removing makeup and also soothing for sensitive skin. 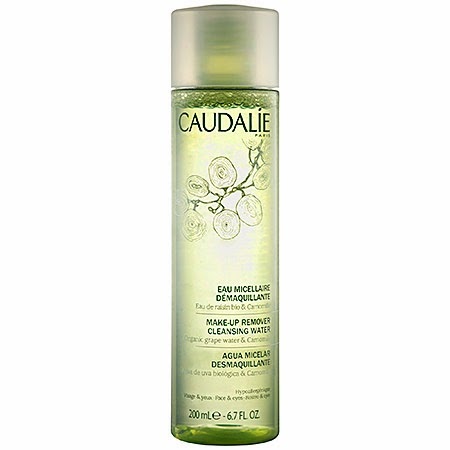 I chose Caudalie Cleansing Water because its hypoallergenic and dermatologist tested! Very appealing to me after everything I had gone through! 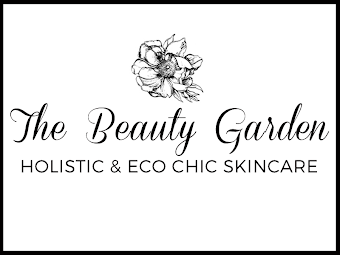 Its also free from parabens, phthalates, and sulfates! Not good for the body and will only aid irritation. From the moment I used Caudalie Cleansing Water, I knew I had made the right choice. First of all the name Cleansing Water, couldn't fit the product better. The texture and consistency is just like water, except it is completely soothing and smells incredible. Secondly, I love that this magic (yes its magic) cleansing water effectively removes makeup and doesn't irritate my skin or leave a greasy or nasty film behind. And instead of grease, my eyelid area is gently moisturized by organic grape water and chamomile, so it doesn't dry out skin! Score! I also want to add that Caudalie's Cleansing Water is an ideal eye makeup remover for those who wear false lashes or have eyelash extentions. Because it is oil free and incredibly delicate it will not strip your falsies! Only one negative is that I would not recommend the cleansing water for those who use water proof or long wearing mascara. All in all, this makeup remover is amazing. It will remove your makeup, soothe and moisturize your skin and naturally treat and heal the delicate eye area. It is refreshing beyond belief and I am a fan! 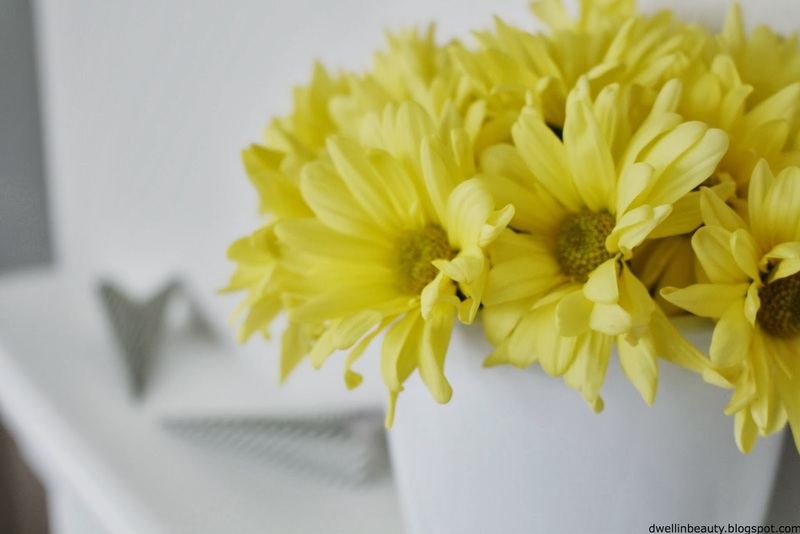 Monday Musings / J Turned One! Happy first monday of the Month/ Year! It feels so good to be working on my blog again! I truly apologize for the lack of posts. 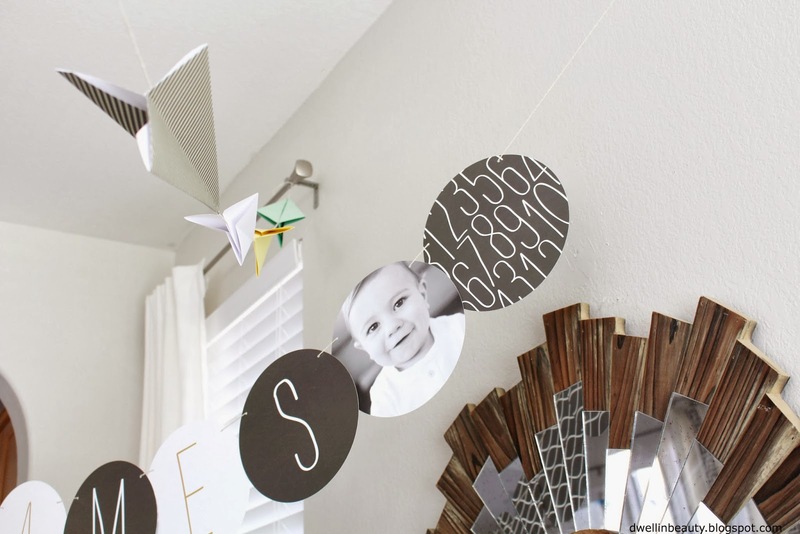 I really was in over my head with the holidays and busy preparing for my sons birthday! My son just celebrated his 1 year birthday over the New Year! Time seriously flies! As a mother its such a bittersweet, tender feeling to see your little one grow and change everyday! I wish I could just let time stand still for a moment. I am so blessed that I get to stay home with him and raise my little love. Over the weekend we honored his first year by throwing him a birthday party! It was such a fun time! 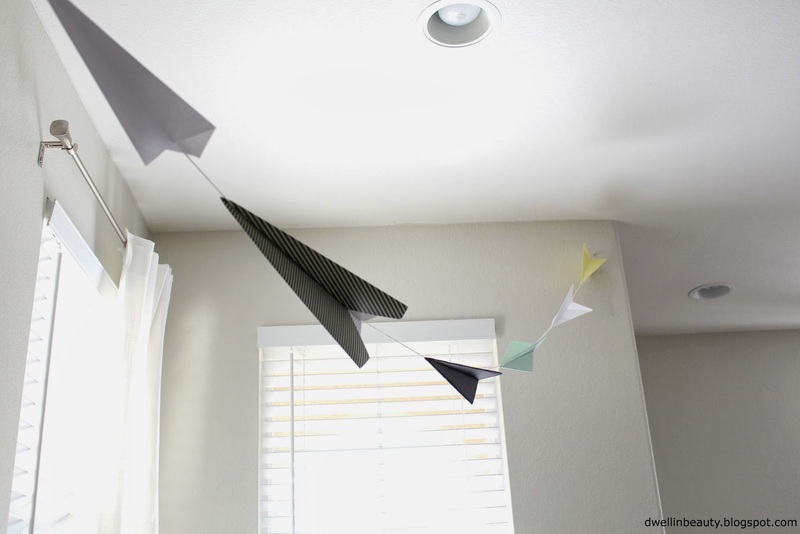 For the party I had planned a "paper airplane" themed party. 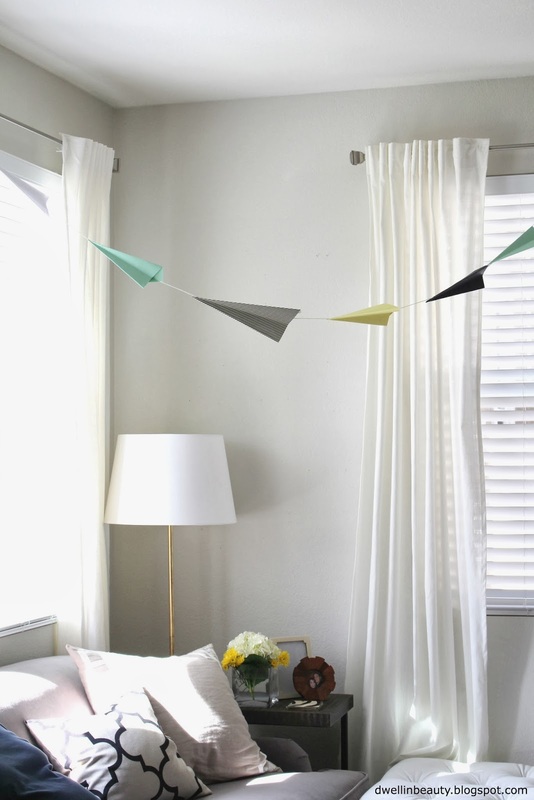 I was inspired to do an "airplane" themed party and thought that paper airplanes would make a fun and easy DIY craft for the party decor... I chose a unique and fresh color palate. 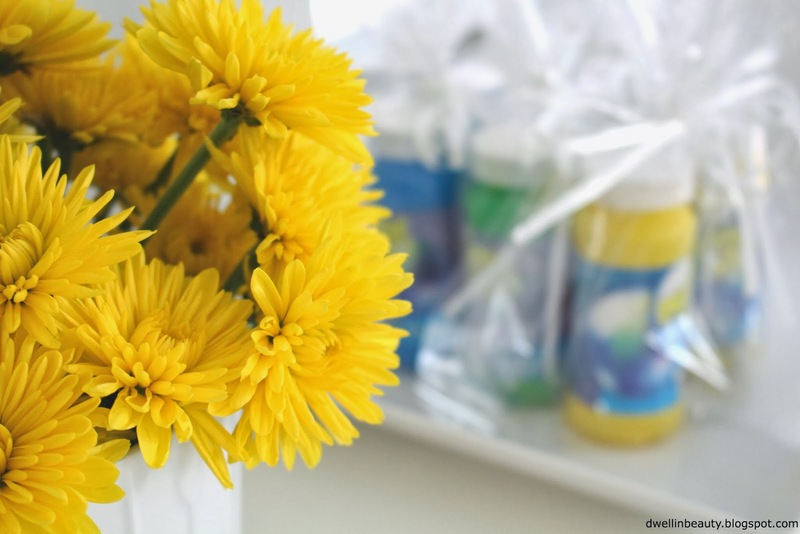 I opted for mint, yellow and black to be the modern and fun mood setting colors. 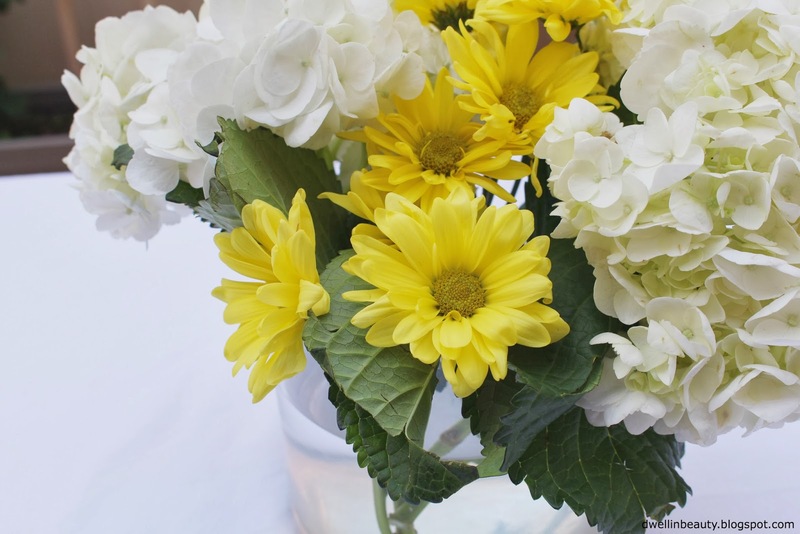 I then chose cheery yellow flowers and soft white hydrangeas to compliment the party decor. 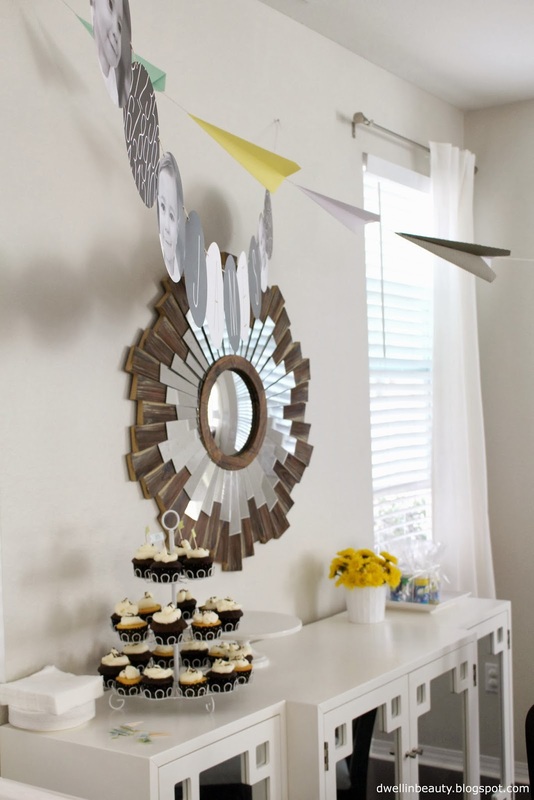 Overall, the party decor was fun, simple and happy! Next year will probably feel more kidish and full of Elmo knowing my son! Happy birthday sweet J! Have a great week everyone!